first things first, i realize my teeth look like a vampire or a beaver in yesterday's picture. i'm not sure why they look like that but i am well aware that they do. and so, yes, it's true. i'm pregnant! that is a dollar store pregnancy test. represent. people warned me to stay far away from my man, but we thought it would be better to follow two the Lord's commands….rather than just one. 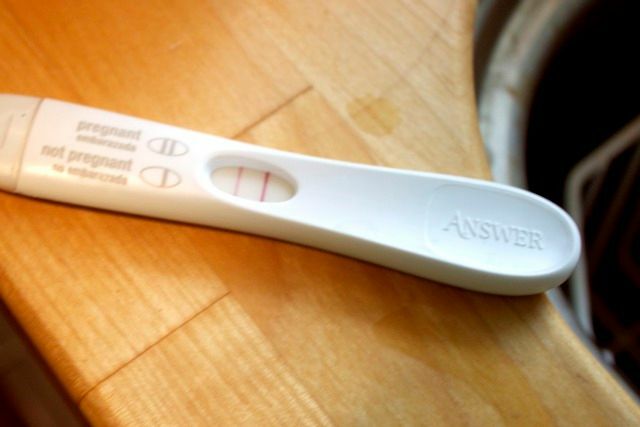 when i took the test, my thoughts went something like this, "there's no way i could be pregnant but i will take this thing anywa. uhh. is that two lines? what do you mean Lord? what? oh my goodness! two babies!" needless to say, we were a bit surprised the day we found out that there was a baby in my belly. i already felt pregnant, not actually pregnant, but that i was loving this child i didn't know yet. we felt this so strong for our baby to be through adoption. three weeks earlier we had sent in our registration check to our agency. we were planning on announcing our plans to our friends and family and we were feeling the Lord command us and bless us with this adoption process so much already. well, when the Lord says move, He means it. having the blessing of two babies is just that. a blessing. we are continuing He had called us to do. His plans are better than ours after all. idea from pinterest, headband from lovely little whimsy, baby belly from mr. burkleo. so instead of telling our families we were adopting, we told them we were adopting AND having a baby. the look on their faces was PRICELESS. i have a video of when we told them, if i can get their approval i will show it on here. muhahahaha. we told the agency right away when we found out. they were wonderful, encouraging and said, "you're gonna be a busy mama!" ...and i beamed. so to answer all questions, concerns, and you-crazy-lady looks. we are 100% continuing the adoption process and still waiting to be matched with our birth mom, just like we were before. our home study is still in september and our first payment is still due then. we may be matched with our baby before our other baby in born in the end of february/beginning of march. or we may be matched with our baby a while after that. whether i was gestating or not, as all of you know, the waiting in our adoption process could be a long time. i am 13 weeks this week. and know what the best thing about this pregnancy will be? this time, when everyone and their mother asks me if i am pregnant with twins, i will say YUP. but we sure are blessed. You are honoring the Lord through your choices. You will, indeed, be blessed. WOW!!! AMAZING!!! congrats on both!!! 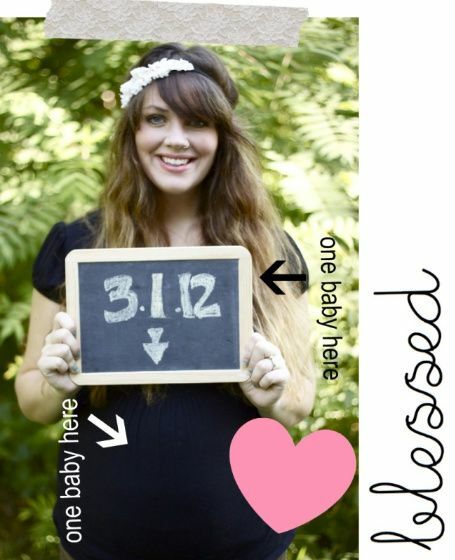 i think your sort-of double pregnancy is making your hair even more super amazingly long and awesome! cute shout-out to mr. burkleo too. Love this and love your heart. And you had the cutest bullet belly! You are so blessed to have an agency that is so supportive of this pregnancy and your adoption journey. God bless you and your babies! I am so happy for you. Blessed for sure! NO DOUBT! I am so excited for you...i am teary. is that weird. so what i don't really care if it is. if you were close i'd give you a giant hug. your are going to perfect in your house full of little tiny gifts from above. Well I'm just thrilled for you! If I can handle raising a set of twins without family around, you'll be just fine! The thought of having two small "babies" to care for is overwhelming...but you create a groove to the music that no one else will understand but you (and maybe your hubby). Just wanted to say totally excited for you and the fam, but your teeth totally did not look like "beaver" teeth. Your picture is just beautiful and you are just one of those pregnant mama's that glows. AWEEEESOME! I just need to tell you that I had a weird feeling this was going to happen! God is GOOOODD!! two things: your comment about belly from mr. burkleo is hilarious, might have to use that one :) Also the twins thing? Not kidding you that happened to me yesterday. I've been talking about our two boys coming and thinking of two names etc and a fun little rumor started in my small home town that I was having twins! When I can finally show everyone a picture of baby J you will see why this is funny....No one will ever ask if they are twins :) love it. i adore this post!! yay! This is so wonderful!!!!!!! So proud of you :) I'm such a sap that I'm Teary eyed thinking of all the sweet babies you will be raising! Congratulations again!!! Excited for you and your family! Congrats! I am due March 21st with our second! Oh and by the way, I just watched a TV show about a couple who adopted twins from Taiwan and then found out they were pregnant right before they left to pick them up. "baby belly from mr. burkleo" This line totally made me laugh out loud. Congrats to your family on both babies. Those babies are going to have a great mama. wow! please, please get permission from your family - that video has got to be AMAZING. you know what my favorite part of this story is? how encouraging the adoption agency was! how amazing and supportive. and I can't wait for you to share your story, especially when asked if you're having twins. I don't believe in coincidences...it's just God's comedic timing. ;) Just kidding. I am so excited for you, and this is not more than you can handle. You will be fabulous! i love it! i'm so excited to watch this chapter of your life unfold! WOW! That is definitely not something that happens often!! haha.. congrats to you!! Congratulations!! How exciting!!! You are NOT crazy! :) God is GOOD! Congratulations! I LOVE the photo with the due date. I'm totally stealing that idea. And continuing with the adoption - not crazy at all. God is good! Yippee. So excited for you. Double blessings for sure! Absolutely *love* the caption under your chalk board photo. Girl, you got one heck of a sense of humor! Love. Holy snot! Congratulations!!!! God has some amazing plans for your family, that's for sure! SO, so excited for you! What an exciting journey you are on as a mother. Many blessings to you and your family! can't wait to see how your story unfolds!!! praise the Lord. that is the story of many. i am adopted and it happened with my parents when they were adopting my little brother! and we can count over and over on our fingers & toes how many people we know who have been so BLESSED like this. continue to cling to our Father my dear. He has a beautiful & epic plan for you! oh, His plans... they are truly amazing! (: congratulations! Doesn't God work in mysterious ways? ;) Congratulations, Burkleo family!! Completely, deeply happy for you and your growing family! I love how much you are fully embracing this surprise. Your family will have the most amazing story to tell. Please post lots and lots of belly pics and adoption updates in the coming months! That's great!! So happy for you! that is the most awesome thing ever!!!! Lol... just made my "two babies in there" comment. 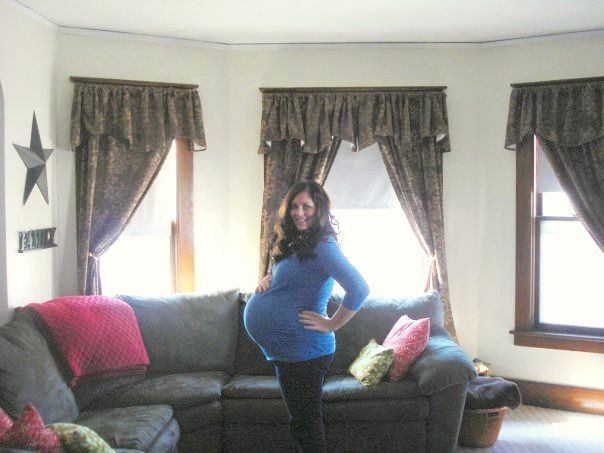 You look gorgeous, and I am so happy for your growing family!